At our "All-Alaskan" dealership, we're committed to providing you with a unique and enjoyable car buying experience. For over 50 years, Anchorage Chrysler Dodge Jeep Ram has proudly served the greater Anchorage, Alaska area. From our sales associates to our financing professionals, we'll treat you like family and give you the car-buying experience you deserve. Stop buy our used SUV dealership in Anchorage, AK or browse our online inventory to get started today! We look forward to seeing you. Find a used SUV at your local Anchorage, AK dealership. 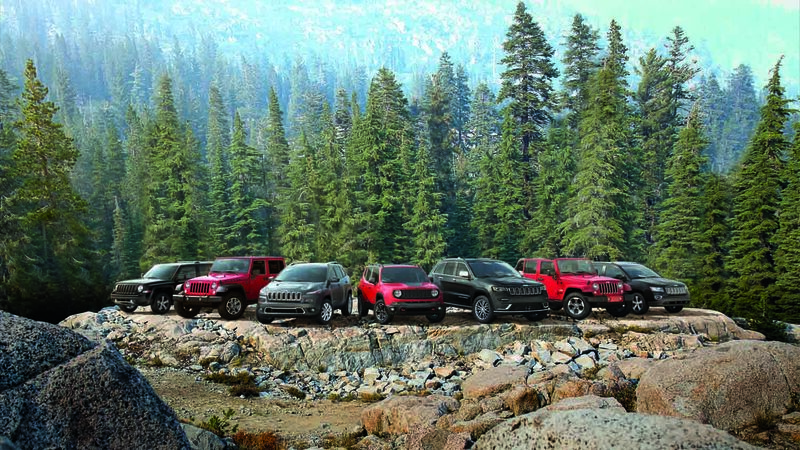 Located in Anchorage, Alaska, Anchorage Chrysler Dodge Jeep Ram is proud to bring local drivers a wide selection of high-quality, competitively priced used vehicles. With many cost-effective options in our used SUV selection, you're bound to find a vehicle that best suits your budget and lifestyle. For adventurous families in search of a spacious, highly capable SUV, the versatile Subaru Forester and Jeep Cherokee are great options. If you're an outdoor purist with ambitious plans on the horizon, the legendary Jeep Wrangler is a surefire pick with its outstanding off-road performance and iconic design. Stop by our used SUV dealership in Anchorage, AK to schedule you no obligation test drive today! If financing your next vehicle seems like a daunting task, visit the Anchorage CDJR auto finance center for the help and support you need! Our experienced finance professionals are proud to help Anchorage drivers secure affordable car loans and auto leases. Helping you overcome budget barriers and challenging financial situations, we are prepared to efficiently help you apply for pre-approval through our website using our credit score tool. Visit our Anchorage, AK auto finance center today at our used SUV dealership to take your next step towards an affordable driving experience!